It takes many things for an attorney to provide the best possible representation to clients: attention to detail, devotion of sufficient resources and significant experience. At the Law Offices of Ira T. Nevel, LLC, this is what we bring to our clients. Lawyers at our Chicago law firm have been representing lenders in foreclosures and protecting the rights of creditors for over 32 years. We are respected by opposing counsel, the Judges before whom we appear and by our competition. We have presented numerous client seminars, have spoken at bar associations, served on judicial committees and acted as leaders in the legal community. At the Law Offices of Ira T. Nevel, LLC, personal service is our hallmark, communication our forte. We are dedicated to providing the superior personal service that our clients have come to know us for throughout the process on contested, litigated and routine matters. From the moment our clients retain us until matters are resolved, we are available to answer questions, provide legal guidance and create innovative solutions. "It is difficult to be 100 percent better than your competition, but we can be 1 percent better in 100 different ways." This is what we believe. This is how we conduct business. Your business means a great deal to us and it shows. Let us demonstrate how personal attention to detail, vast experience, hard work and total hands on dedication can resolve your foreclosure challenges in Illinois. Contact us by calling 312-357-1125. We utilize the latest technology and our connection to a network of well-respected attorneys to provide convenient representation to lenders in jurisdictions throughout the State of Illinois. 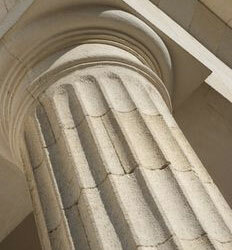 Our law firm is located in Chicago and represents clients throughout Illinois.